If you consider the everyday things we take for granted you will be amazed at how many of them are products of plastic injection molding in one way or another. The plastic bottles we use for drinks, the model kits we built as kids. The mobile phone, that we all carry, have their bodies molded, and so it goes, all forms of plastic container, plastic garden chairs. These are all things we take for granted. The packaging industry depends on the plastic injection molding process for just about everything they do like the boxes and blister packs that are used to enclose the products actually for sale. Then there are a huge number of products that we probably never think about; the lenses in the explosion of digital cameras and the cameras on mobile phones are all products of molded plastic. Fiber optic cable is obviously an extrusion from a mold. The material that is used to actually make these represents a massive advance in plastic technology to the material used to make the cheap plastic forks and plastic juice containers that all of us use once and throw away. Injection moulding is a form of manufacturing and is usually used to produce small plastic items that are large in number. For example, a car company would use this process to create all the small parts such as seatbelt holders, caps for fluid reservoirs and various other small plastic products. Most of the time, a company will only use this type of manufacturing if they create a lot of small products that are exactly the same. So, in other words, if the company needs to produce a large range of duplicate items then injection moulding is the perfect solution. The whole process is very powerful and very fast and this is why it’s so popular. A large machine does most of the work but it will need supervision from staff and possibly a technician. The whole process is very fast but is simple to understand. To start with, a feeder places the granulated plastic into what they call a hopper and it is then fed through a heated barrel which melts the plastic. Once it is melted it can be mixed with other properties and solutions such as colour or whatever else is needed. Once the plastic has melted and mixed it can then be fed into the mould part of the machine. Once all the product is inside the mould, the machine cools this area to set the mould. You will then be at the end of the process and will have the first of many plastic products created. A lot of other factors are involved in keeping the machine running – for example, water is almost always used to cool the plastic while it’s inside the mould. There are also a variety of shapes and sizes available for the mould and most companies are required to make these moulds themselves. Within plastic injection molding there are a whole range of factors that one never thinks about, but the technology is advancing inexorably on two fronts. The first is the range of materials that can be molded. Space age materials for use in the shuttle and for panels and fenders of automobiles are such products. 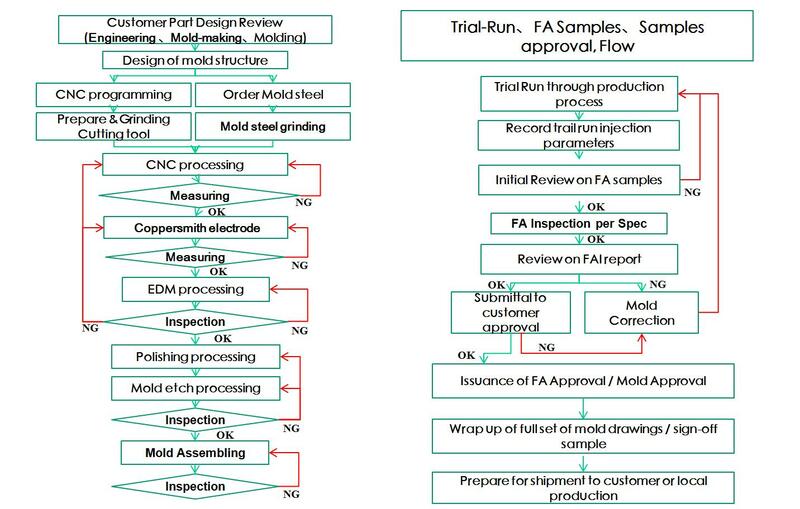 The limitations are materials development, which continues apace, and mold design. The other is the machines themselves and the molds that fit in them. If one designs a moldable product then one has to ensure that a machine can clamp the mold inject the material with sufficient force to fill the mold, eject the air and cool fast enough so that the mold can be opened and a virtually finished product ejected.